Jennifer Varty graduated from WSA in Printed Textile Design in 2014. After studying with us she went on to a year long internship in New York with Collection 18 after being interviewed at New Designers. 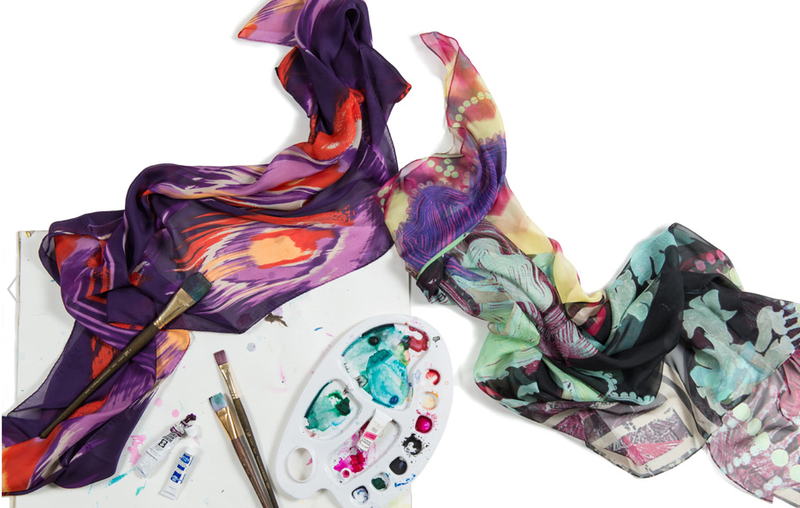 Collection 18 is fashion accessory company specializing in scarves for designer brands and private label collections. sales team and buyers. She is currently preparing for Fall 2016 on the Collection 18 line, compiling trend and colour research for the new season, which she will have to present to the entire design team at our Fall Kick-Off meeting, before designing the collection. This entry was posted in Fashion & Textile Design, Textiles and tagged Alumni, alumni success, Collection 18, Jennifer Varty, New York, Print Designer, Printed Textiles, Winchester School of by Caitlin Hinshelwood. Bookmark the permalink.